We, O.G.A. for Aid, are a group of international volunteers. 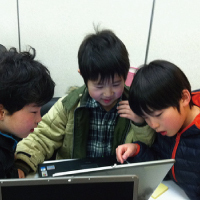 We began to work with disaster survivors after the 9.0 earthquake and tsunami hit Japan's North East territory. We are based out of Minami-Sanriku in Miyagi Prefecture. 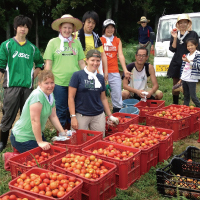 We are the longest running international aid organization in Tohoku and have been organizing community rebuilding workshops and events since March 2011. My name is Angela Ortiz, a little over 4 years ago my life changed forever when the 9.0 magnitude earthquake and tsunami hit Japan. I chose to stay and help my friends in Tohoku in the live or die immediate aftermath of the disaster and that choice had a profound effect on how I view the world today. The experience gave me a sense of purpose and drive, and a feeling that I could truly make an impact in the world around me. I saw for the very first time how much people matter. how much impact we had on each other. I have shared this experience with my daughter who saw the destruction first hand, with my family who live in Tohoku and with my community of Tokyo, where I have lived for almost 10 years now. I invite you too, the opportunity to discover for yourself how inspired volunteering can change how you view the world. I imagine there can be a world where survivors are connected and inspired throughout recovery. After 4 years, many feel the problem in Tohoku is solved. Tohoku today is recovering, but the pace is brutally slow. And unfortunately, interest from the outside world has largely faded. It is a monumental challenge for the young and the old to rebuild their lives when too many individuals are living fragmented, lonely lives. Depression currently aff ects 7% of Miyagi coastal residents, more than 3 times the national average, and stress-related deaths exceeded the death toll from the actual disaster in spring 2014. It is at times like these, that outside help and inspired volunteering makes the diff erence. 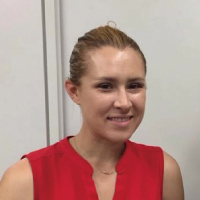 We know now that when we bring our energy to the survivors of the disaster in Tohoku - by continuing to be there for them when the attention of the world has moved on - we become a catalyst for passing on inspiration to the community when it matters most. If it is what we do when nobody is watching that defi nes our character, then that time in Tohoku is now. 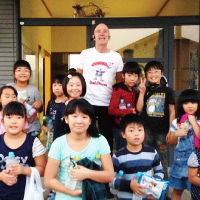 Following the triple disasters of March 2011, Ortiz Global Academy, an international school in Aomori, became a base for volunteers sending aid to the devastated Tohoku coastal region. Teams of international volunteers were led into some of the hardest hit areas and operations began, beginning with delivering large quantities of food, water and emergency supplies and the development of a system of distribution where ALL survivors and residents were included. 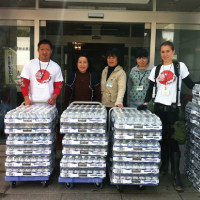 In the immediate aftermath of the 3.11 disaster, we setup a Tohoku Distribution System program to provide adequate food, water and emergency supplies to survivors. Working with locals was a key component of the project. English and computer education for 300 children and 120 elderly residents of MSR was held at our newly renovated Community Learning Center. We continued to work towards developing GFA into a viable agricultural force in the region. 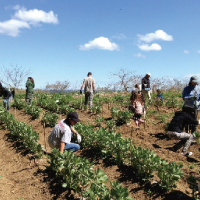 Our work with GFA expanded to provide livelihoods for 10 local farmers. The work done in 2013 led to GFA becoming Green Farmers Miyagi K.K., winning an award for it’s contribution to to revitalising the region’s farming in 2014. A new O.G.A program called Temahima supported students and corporate employees to become empowered volunteers via field trips to MSR, facilitating discussions with survivors, lectures and presentations. 18 trips were made from Tokyo, Fukuoka and Sendai to MSR. At Christmas we organised the Santa Soul Train to the children of Miyagi. In 2015, we started our first global social media campaign for awareness and connection building between volunteers and survivors. In addition we promoted advocacy of survivors through lectures and presentations. O.G.A kicked off the “Place to Grow” and “Furusato Box” initiatives, providing further opportunities for local revitalisation.